Donghai people have a history of over 3,000 years for exploiting crystal. The current crystal purchase volume covers a half of that nationwide and the world crystal king is originated from Donghai. 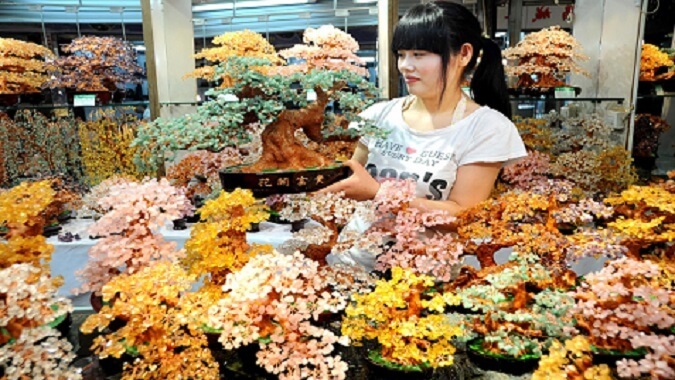 Donghai Crystal Culture Tourist Area is mainly divided into China Donghai Crystal Town and China Donghai Crystal Museum. 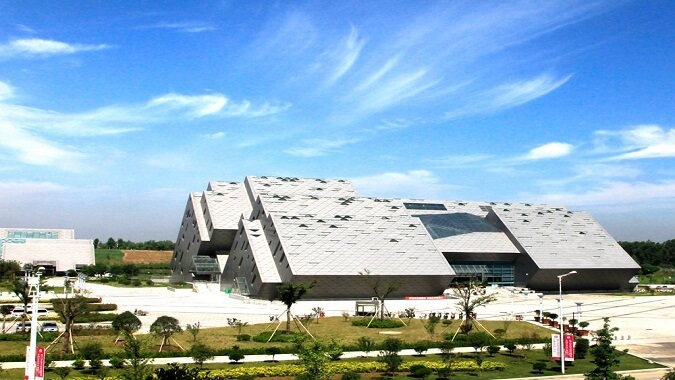 Located at the north side of Jingdu Avenue, Donghai County, Jiangsu Province, China Donghai Crystal Town echoes the crystal museum each other at a distance and is a super large comprehensive commercial complex integrating crystal shopping, catering, accommodation, leisure and entertainment built by Donghai County People’s Government with great efforts. 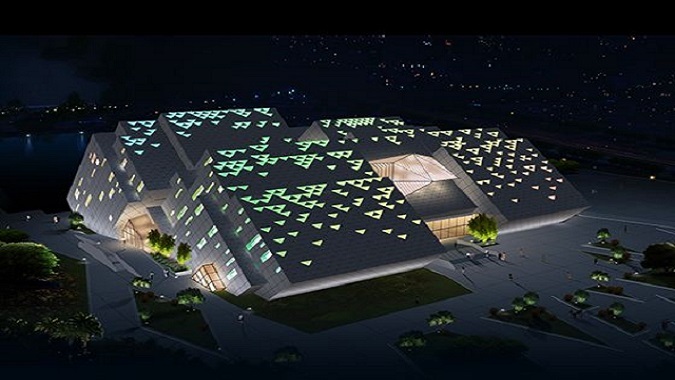 Covering a floor area in 450,000m2, China Donghai Crystal Town is the crystal business market nationwide of the largest area, the fullest range of function and the internationally first rate crystal transaction center. China Donghai Crystal Museum is currently a special subject museum in our country of the largest size, top grade and with crystal as the subject only. By integrating such multiple function as refined crystal product display, silicon industry display, historical relics display, academic study and international exchanges etc., the museum has gathered the natural crystal and crystal handiwork of top quality and sophisticated craftsmanship from Donghai and the world, demonstrates particular landscape formed by crystal and displays the crystal beauty and infinite charm of the crystal world. 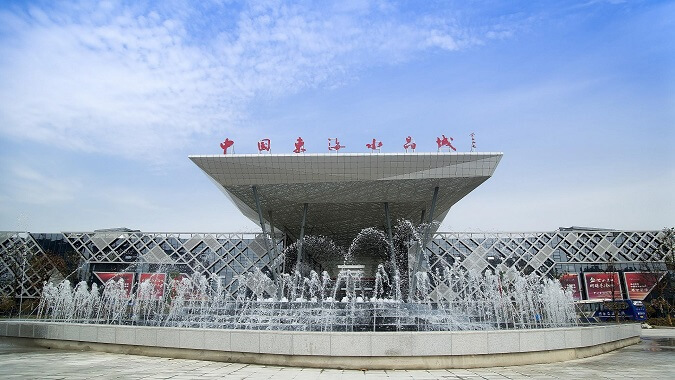 Donghai Crystal Culture Tourist Area is 15 minutes away by car from Lianyungang Baitabu Airport which offers direct flights to Beijing, Shanghai, Guangzhou, Shenzhen, Dalian, Shenyang and Xiamen etc., so it enjoys very convenient traffics. Donghai Crystal Culture Tourist Area is about 15 minutes away by car from the railway station, which can reach Beijing, Shanghai, Urumchi and Nanchang etc. Directly.